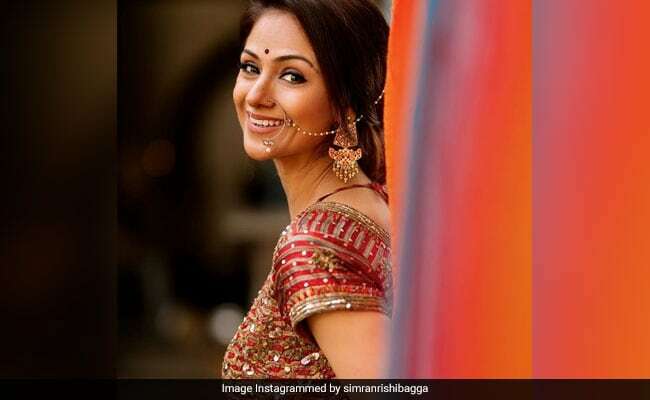 After working successfully in Hindi, Tamil, Telugu and Malayalam films, Simran Bagga is back and plays Rajinikanth's love interest in his new blockbuster Petta. The 42-year-old actress, who has two children, looks stunning and says it is rare getting a glamorous role at her age. Q. Firstly, I want to know how you have managed to not age by even a day in the 15 years I've known you? A. (Laughs) I am just trying to eat, sleep and live well. It's more about feeling good than looking good. It's not easy after two children. After my second child, I had to lose a lot of weight. It wasn't easy. But once you decide you need to look after yourself -- not to look good but to be healthy -- it becomes easier. Q. What was it like working with Rajinikanth for the first time? A. He is a such a simple, humble, down-to-earth person. He is my superhero. To me, he came before the concept of the superheroes like Iron Man and Spider-Man was incepted. I am so glad I could work with him. Q. Would you say Petta is your comeback film ? A. It is definitely a comeback of sorts. It is my first film with the Thalaiva and therefore, it's a big deal for me. And when people are saying I have a better written role in Petta than Rajini sir's heroines usually have, I am even happier. Audiences are happy that Simran (she slips into the third person) is seen with the Thalaiva for the first time and they look so good together. I may not have much footage in the story, but it is rare for an actress my age to be given such glamorous role. Q. Yes, it is very rare for a heroine in a Rajinikanth film to have anything to do except idolise him. It is even rare for a heroine to be shown a mother to a grown up child and still have a life of her own. Would you agree with that? A. Are you asking me if I agree it is difficult for an actress to play the heroine after she is a mother? Q. No, I am asking if characters are written for heroines where they have the liberty to have a life of their own even after having children? A. Yes, that is rare. And my character of a 40-plus and single mother is not something an Indian actress gets to play every day. I wanted my first film with Rajini sir to be special. In Petta, I will give full marks to director Karthik Subbaraj for presenting me well despite limited footage. The romantic angle between Rajini sir and me has been so well-handled. I'd say the relationship comes across as ageless because of Rajini sir's aura. 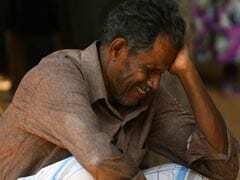 It doesn't matter whether he is in his Sixties and I am in my Forties. It is only the beauty of their compatibility that shines through. Looking at the film as a member of the audience, I liked seeing this pair. Q. Audiences wanted to see more of you in Petta? A. Even I wanted more of me in the film. But in a 2 hour 50 minute long film, there is so much to say. I am glad I got my space. Q. Would you say Indian cinema is not a comfortable place for actresses above 40 specially those who are married and have children? A. Being a wife or a mother or 40 should not be the criteria for a heroine to get a role. I am very proud to be a wife and mother. It is an essential part of being a woman as far as I'm concerned, but these roles must not define my professional decisions. Of course, I have major responsibilities beyond my profession now. But it becomes easier to balance one's personal responsibilities with one's profession when you have a supportive family. I feel I've the freedom to do what I want to do, play the roles I want to play. There's no burning compulsion to be in front of the camera after so many years in the profession. If I like a role, I'll do it. Yes, I may make the wrong career decisions here and there. But I am not afraid to fail. Nor am I apprehensive about being a mother."